Sub :– Implementation of Government’s decision on the recommendations of the Seventh Central Pay Commission Revision of pension of pre-2016 retired medical officers. 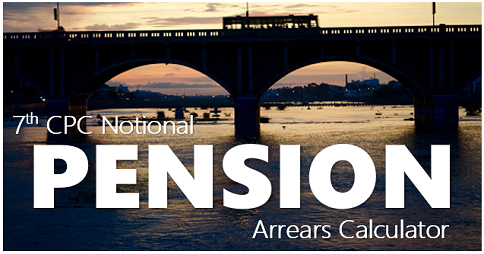 The undersigned is directed to say that in implementation of the decision taken on the recommendations of the 7th CPC, orders were issued vide this Departments’ OM No.38/37/2016-P&PW(A)(ii) dated 04.08.2016 for revision of pension of pre-2016 pensioners/family pensioners w.e.f. 01.01.2006 by multiplying the pre-revised pension/family pension by a factor of 2.57. Subsequently, vide OM No. 38/37/2016-P&PW(A) dated 12.05.2017, it has been decided that the pension/family pension w.e.f. 01.01.2016 in respect of all Central civil pensioners/family pensioners, who retired/died prior to 01.01.2016, may be revised w.e.f. 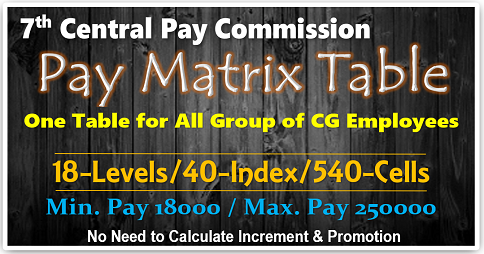 01.01.2016 by notionally fixing their pay in the pay matrix recommended by the 7th CPC in the level corresponding to the pay in the pay scale/pay hand and grade pay at which they retired/died. This will be done by notional pay fixation under each intervening Pay Commission based on the Formula for revision of pay. 2. In the case of medical officers, the emoluments reckoned for calculation of pension include Non-practicing Allowance (NPA). 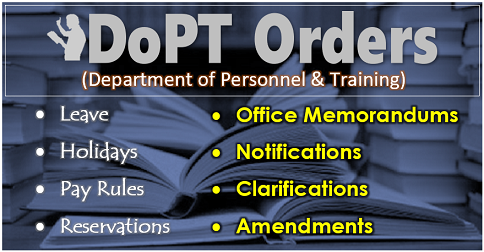 The pay of the medical officers is revised in accordance with the specific provision made in the Revised Pay Rules. The manner in which the pay of the medical officers is to be revised w.e.f. 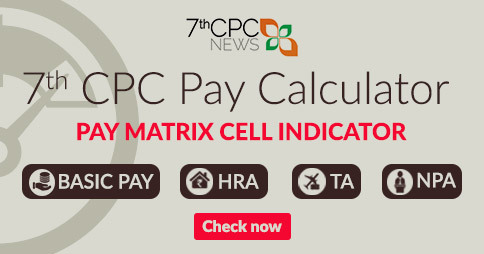 1.1.2016 is prescribed in Rule 7 of the CCS (Revised Pay) Rules, 2016. Accordingly, for the purpose of revision of pension of pre-2016 retired medical officers in accordance with this Department’s O.M. dated 12.05.2017, their pay will be notionally revised w.e.f. 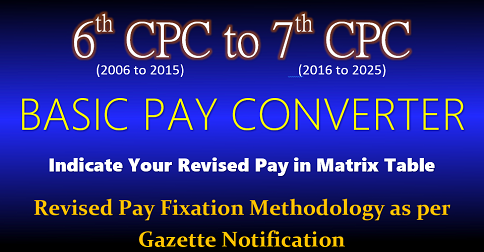 1.1.2016 based on the formula for revision of pay as applicable to the medical officers in the 7th CPC as well as in the intervening Pay Commissions. NPA at the rate as applicable as on 01.01.2016 shall be added to such notional pay as on 1.1.2016 to arrive at pension/family pension of retired medical officers w.e.f. 1.1.2016. 3. NPA to serving medical officers has been revised @ 20% of basic pay w.e.f. 1.7.2017. Accordingly, the pension/family pension of retired medical officers shall be further revised w.e.f. 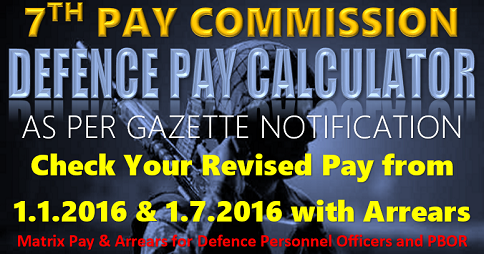 1.7.2017 by adding NPA @ 20% to the notional pay as on 1.1.2016, instead of the NPA admissible as on 1.1.2016. 4. 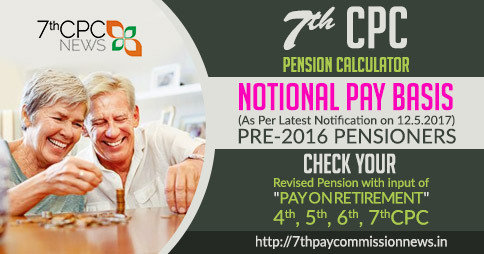 The revision of pension/family pension of retired medical officers in the above manner will be further subject to the condition that the notional pay as on 1.1.2016 plus NPA does not exceed the average of basic pay of the revised scale applicable to the Apex Level and the level of Cabinet Secretary. 5. This issues with the approval of Ministry Of Finance, Department of Expenditure vide their I.D.No.136/EV/2017 dated 25.08.2017.